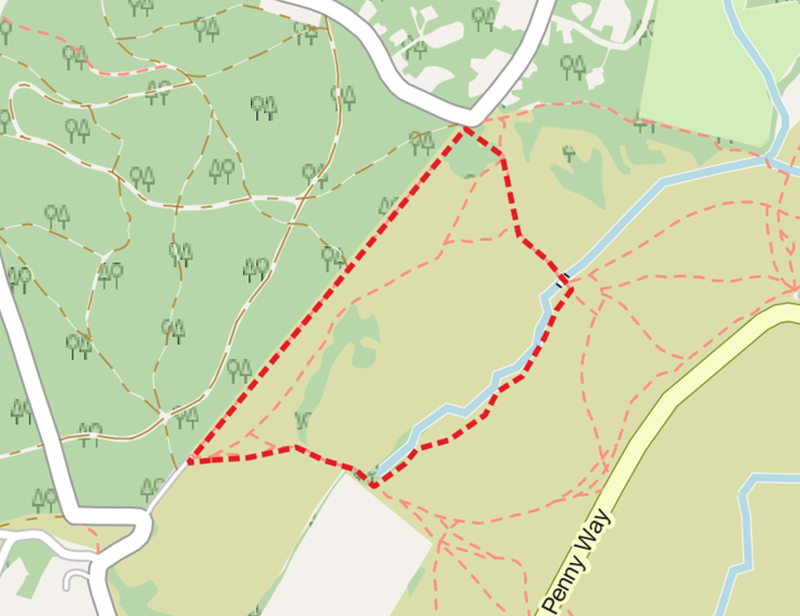 A walk of about 1.8 miles starting at Godshill Wood car park. Millersford Bottom is one of the many deeply cut valleys that run through the New Forest plateau. Here, streams have washed away the upper gravel layers and exposed the older geological sands. The valley was one of only seven areas in the New Forest set aside by the Forestry Commission in 1927 for gypsies to set up camp and was affectionately known as Tin Tin Bottom. A review in 1947 concluded that the gypsies were living in appalling conditions “hardly reaching the standards of the Stone Age”. The last gypsy family was forcibly moved off the Forest in 1963. NOTE: this area can be very boggy and slippery after wet weather. Start/End Godshill Inclosure car park. Walk to the end of the car park and bear slightly to the right away from the trees. Scramble! Follow the path down to the bridge across Millersford Brook. Then, bear left, following the stream. There isn’t an obvious path along Millerford Bottom and it can be very boggy and slippery after wet weather. Footbridge 700m from the first bridge, look out for another footbridge and follow the path up to Densome Corner. Lady’s Mile Turn left and follow the edge of the wood back to the car park.